The Contents of your bergen, plus your webbing (or assault vest) make up Complete Equipment Marching Order (or CEMO for short). CEMO comprises equipment required to sustain a soldier over longer periods of time in the field. 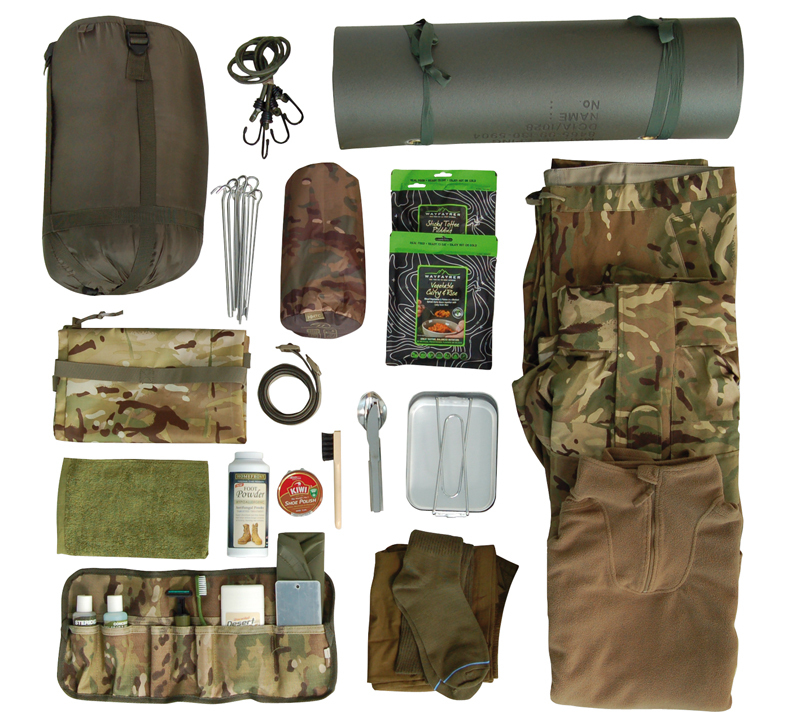 This layout shows some recommended contents for your patrol pack or bergen and can be used for a basis for ideas.